During 2017, the CBMA and the CBMC received many inquiries regarding volunteer opportunities in both Latin America and the Caribbean. It has been so encouraging to receive contact from overseas members planning vacations and wanting to visit ecclesias at the same time. Brothers and sisters of different ages have also expressed interest in supporting the mission effort and a number have travelled to various countries on mission sponsored activities. Approximately 25 members have assisted in Latin America and about the same in the Caribbean during 2017. This does not include the regularly scheduled visits by CBMA and CBMC linkmen and other fieldworkers. In 2017, twelve mostly self-funded volunteers visited Jamaica for periods of 8 days up to 8 weeks. For example, Brother David and Sister Cassie Giordano from the Norfolk Ecclesia in Virginia, along with Brother Timothy Cresswell from the Kings Norton Ecclesia in the UK, accompanied Brother Don Luff from Canada for 8 days. 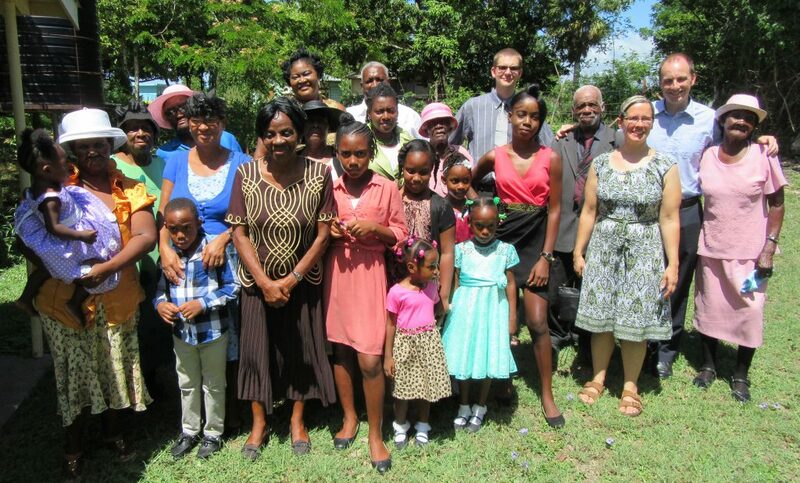 They supported pastoral and ecclesial activities with members from the Port Maria, Port Antonio, May Pen, Broughton, Argyle Mountain and Harvey River areas. Another visit was also made this trip to see Brother Alan Eyre, who suffered a stroke in early 2016 and is being well taken care of in a nursing home in Kingston. Five of us spent about an hour with Brother Alan, who much appreciates visits, since he is bed-ridden. One nurse dedicated to his daytime care is Sister Coreen Thomas of the Kingston Ecclesia. Along with a daily reading, we sang a number of hymns and shared the emblems together – as well as showing Alan a number of photos of recent fraternal activities on the Island and of baptisms. The Island of Jamaica may be considerably smaller than our home state of Virginia, but embarking upon a week-long tour of the entire country turned out to be quite an ambitious undertaking! Our goal was to visit with as many of our brothers and sisters as we could to help us get a feel for ecclesial life on the island. Everywhere we visited the welcome we received was both warm and generous. 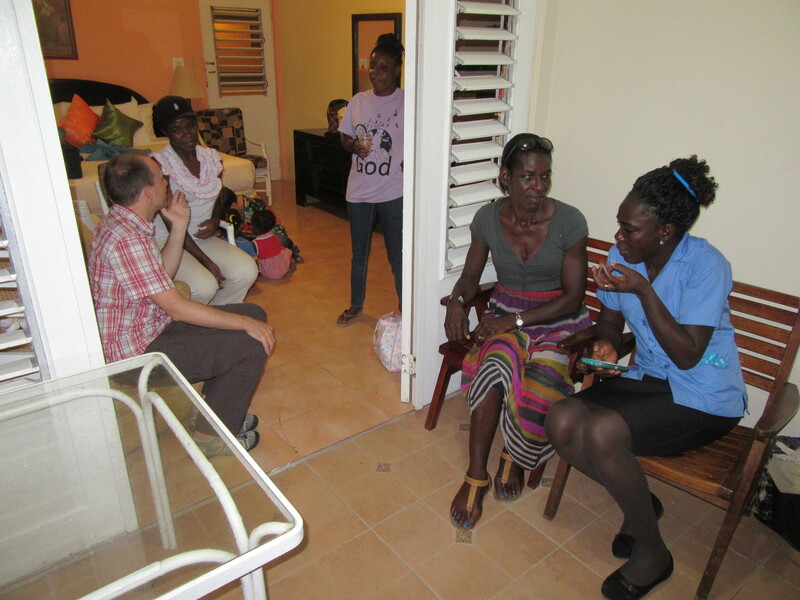 Several sisters in Port Maria arranged to be free on a weekday afternoon to have a breaking of bread service with us, one of whom patiently waited several hours for our late arrival when a phone service issue caused her to miss being notified about the delay. 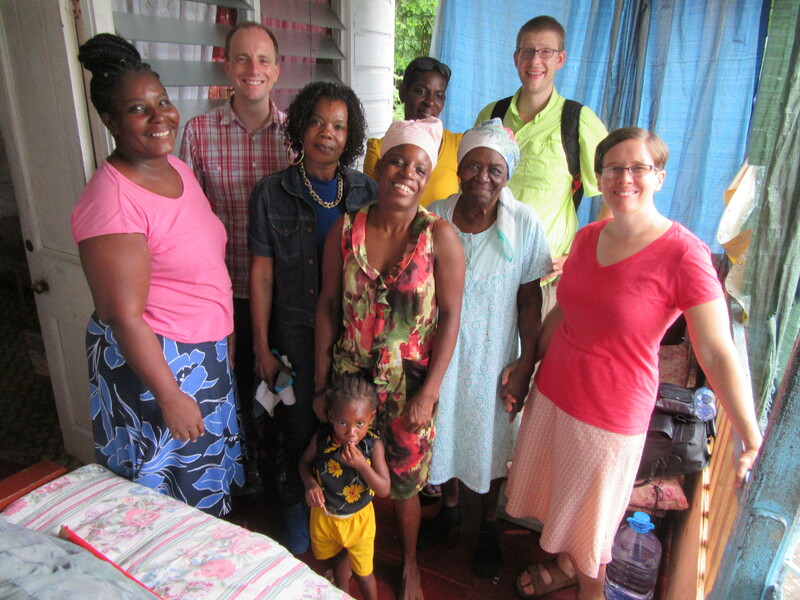 Many of the same sisters accompanied us out to Port Antonio to visit with Sister Enid Hall in isolation the next day. Between the rigors of day trips on the rugged Jamaican roads, we were treated to the warm hospitality of Brother Leroy and Sister Loraine Johnson, who live in the area of Clarendon. We were still able to meet a number of brothers from around the island when we attended the CBMJ meeting at the May Pen ecclesial hall on September 30th. We wrapped up our trip with a four hour drive to the west coast of Jamaica to join Sunday services at the Broughton Ecclesia on October 1st, along with members from Harvey River and Argyle Mountain who joined us for fellowship. Although we had begun our journey with a sense of apprehension about encountering a new place and culture, the fellowship we shared in Jamaica reminded us of all that we have in common throughout the brotherhood. When a deep love for God and desire to learn from His Word is present, it doesn’t take long to feel at home.